There were no announcement, no fanfare; no product launch and no excitement. 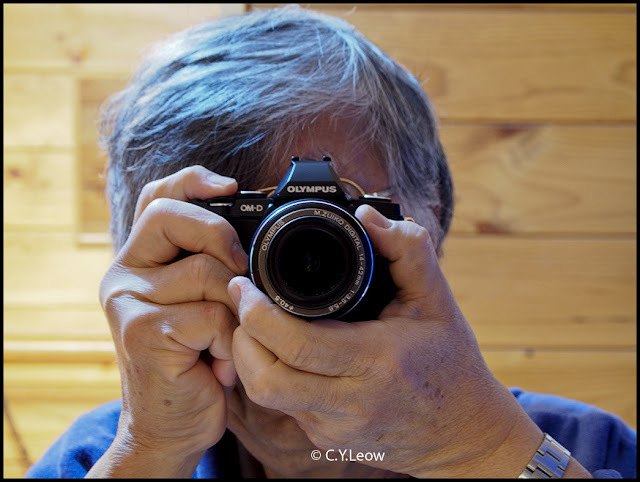 The most talk about, most anticipated; most reviewed Micro Four Thirds camera, the Olympus OM-D E-M5 quietly appeared on the shelves of camera shops in New Zealand. 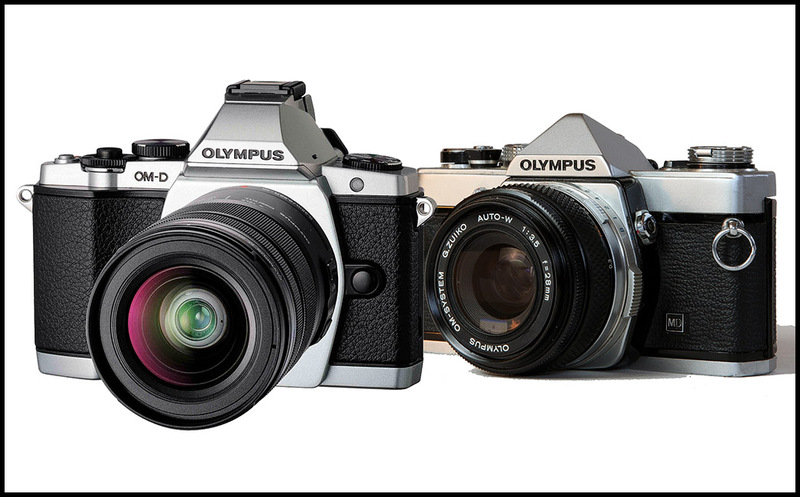 I was told by a shop assistant that Olympus has "abandoned" NZ a while back, we do not even have an Olympus distributor here; the shop people have to fill your Olympus order from Australia! After reading a dozen of reviews on this most publicised camera, I was intrigued enough wanting to find out if the OM-D is really as hot as they say! I got mine last week from Photo Warehouse for NZ$1,560.00, that hard earned amount is for the body only! My friend asked me why didn't I buy a kit? For NZ$1,980.00 I can get the same black body with the "new" 12-50 power zoom lens, this rather long (non retractable) optics; like the camera body, is weather sealed! Well, I personally do not have much respect for kid lens... oops, kit lens ;) The Olympus M.ZUIKO DIGITAL ED 12-50mm f3.5-6.3 EZ received a less than stella review from DXO Mark. The OM-D is a mirrorless camera that trying to look like a DSLR, in this case; Olympus want you to believe it look like their original winning OM series of FILM based SLRs, duh! Well, their intense promotions seems to work... there were at least more than two reviewers that exclaimed, "Just one glance at the E-M5 and we were already hooked!" 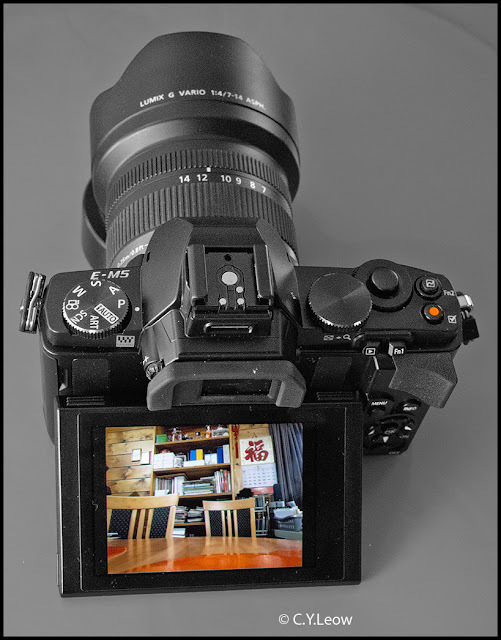 Before I continue my rant, please take note that this is NOT a camera review as such; there are dozens of very detailed and complete reviews of this M4/3 on the net that you can read and droll on. Like the other "review" I post previously, mine are more like mini user experiences; plus my like and don't like of the camera. 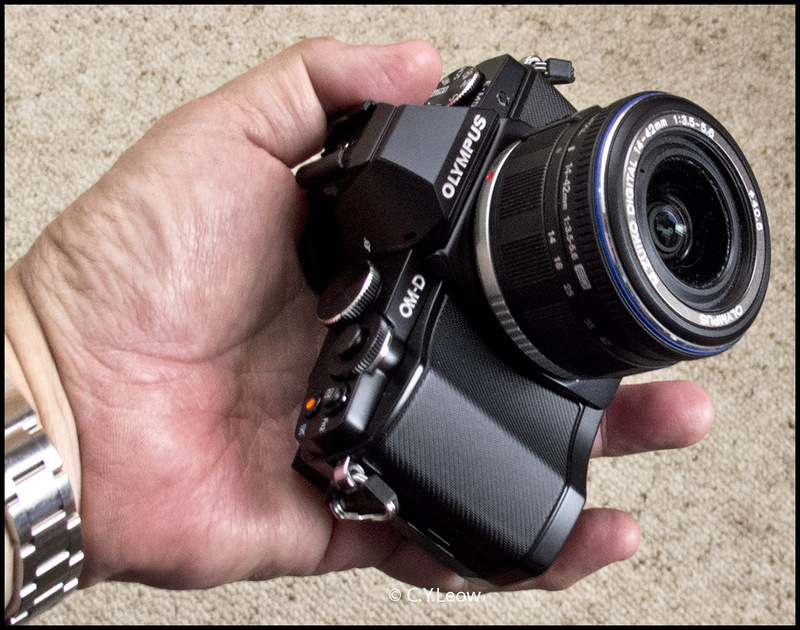 The first thing that grab me when I pick up the OM-D is how small it is! You can see here it is resting on my palm. 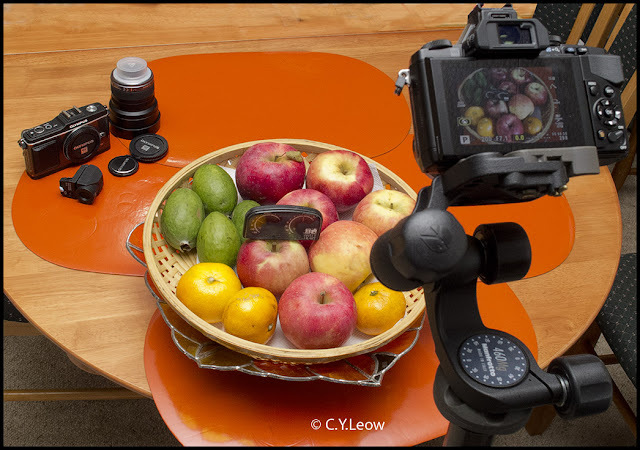 Oh... that is the kit lens from my E-P2, surprisingly this "cheap" Olympus 14-42 f/3.5-5.6 kit zoom is not bad at all! 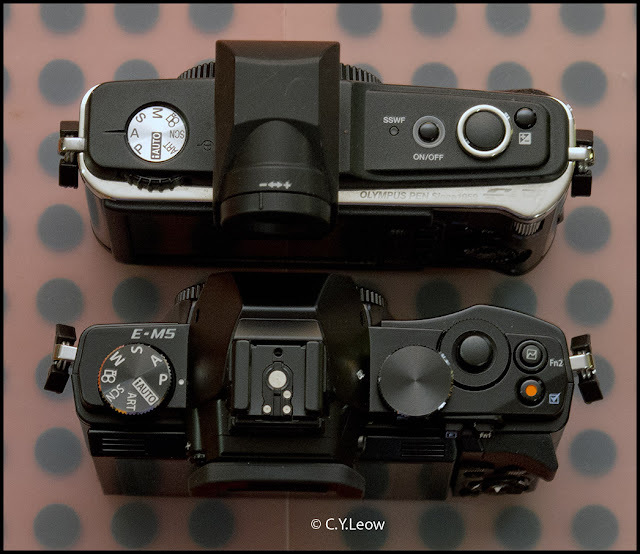 The OM-D is nearly the same size as my E-P2, with the add on VF2 electronic viewfinder the E-P2 is taller. 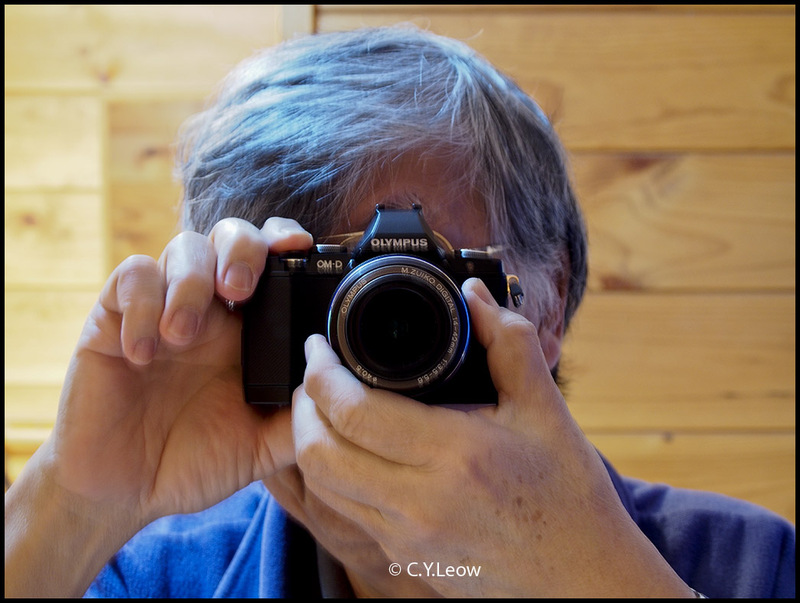 Olympus did a great job on squashing the new EVF into the OM-D! Side by side with my favorite point and shoot, the Canon Power Shot G12; which look even more chunky beside the more stream lined OM-D.
Holding the OM-D like a DSLR is not easy with my large palms. May be the HLD-6 battery grip might help? I find it more practical to use "big thumb under camera" method to hold the OM-D, I started using this method when I got my E-P2. Talking about E-P2, if you own one; it pay to keep the VF2 viewfinder, I plugged mine on the hot shoe of the OM-D and got an instant vary-angle EVF! 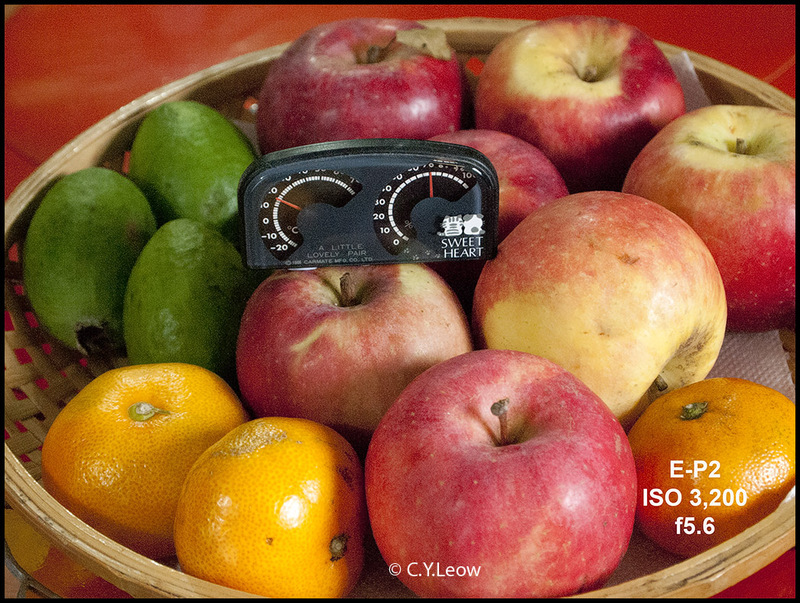 Now for some testing to find out how my expensive purchase compare to my 2 year old E-P2! Apart from comparing the E-P2 with the new OM-D, I threw in the G12 for good measure. 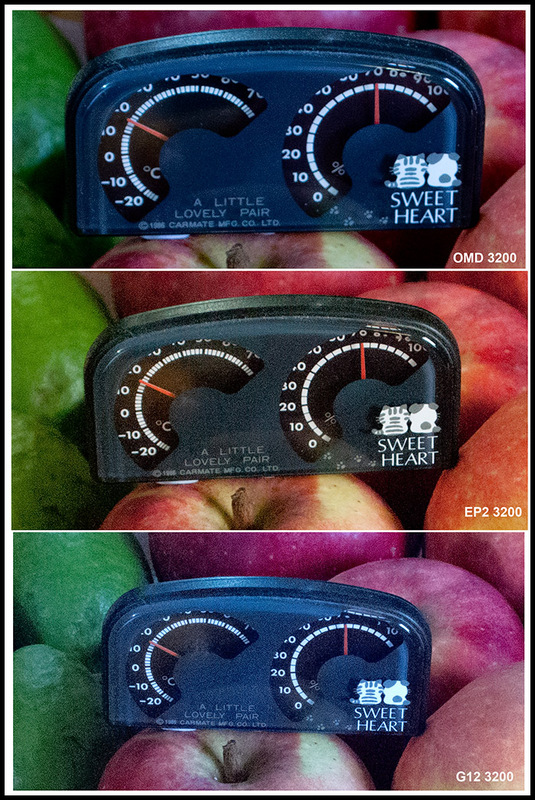 These were shot at ISO 200, notice how warm the E-P2 is; same kit lens was used for the two Olympus. 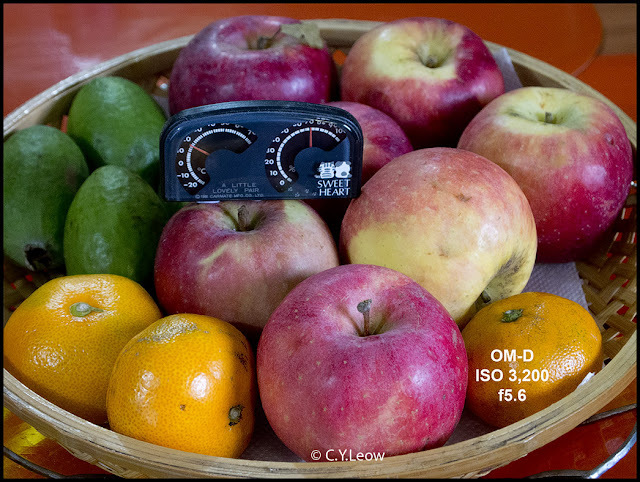 Comparing to the real fruity target, I think the OM-D shot is the most accurate. Lets jump straight to high ISO samples to see if what Olympus claims are true! Below are samples taken at ISO 3,200. 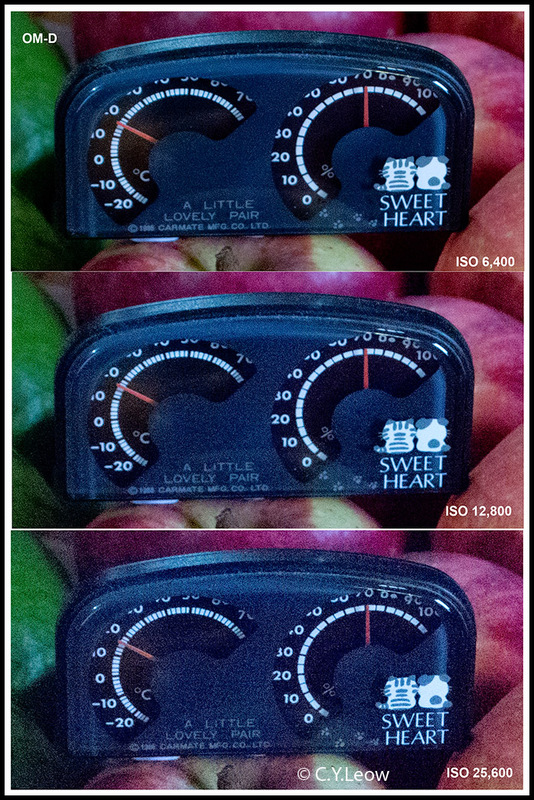 Even being shot at ISO 3,200... at first glance the OM-D shown hardly any noise at all! 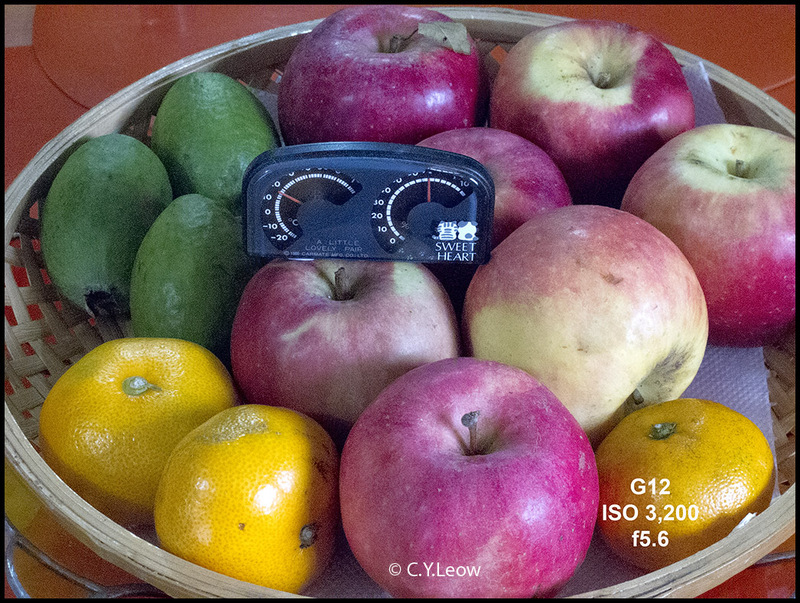 The G12's tiny sensor did rather well at this high ISO! These are 100% crop of the ISO 3,200 test shots. You can see the noise at ISO 6,400 for the E-P2. The OM-D held out really well, it is still noise free at this high ISO setting. After 6,400 is an area that less than full frame sensor dare NOT to go, I was getting a little excited how the "new" sensor fared! I cannot believe my eyes! Take a look at the ISO 25,600 shot! That is from a half framed sensor! M4/3 definitely HAS ARRIVED! That's it for now, I will be updating after I spend more time with the OM-D! 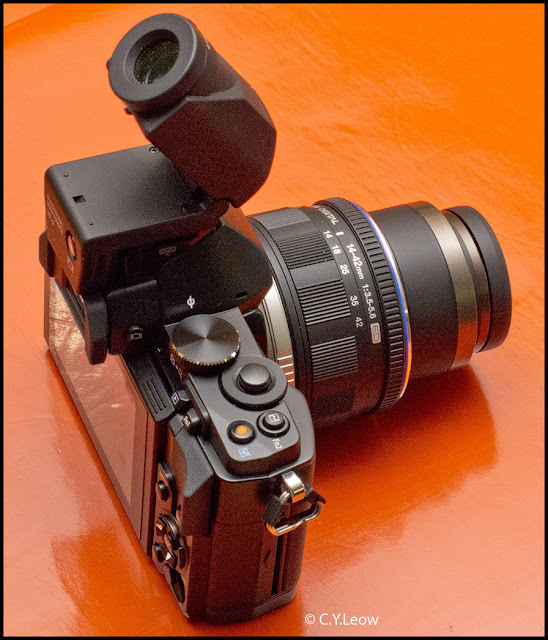 I will leave you with a shot of what my E-P2 do not have, it is the marvelous tilt-able rear screen 3-inch, 610k-dot, touchscreen OLED panel! More on that next time!